Finard Properties traces its roots back to a small and humble venture founded in the 1950’s by Murray Finard, a man who left a successful career in the manufacturing business to help pioneer a new platform for retailing called “the shopping center”. Murray anchored his shopping centers with emerging discount department stores, and although this class of store is omnipresent today, they were a radical departure from then-traditional department store retailing. Operating for a number of years out of a converted bedroom in his home, he was joined by his son, Bill, in the early 1970’s. Father and son saw discount retailers come and go: J.M Fields, Zayre, Ames, Giant, W.T. Grant, Woolworth, Bradlees, and others. Through all of the changes, however, the company adapted and evolved with the times, trends, and demands. Bill even convinced his father to move into a real office. In the 1980’s, Murray retired. 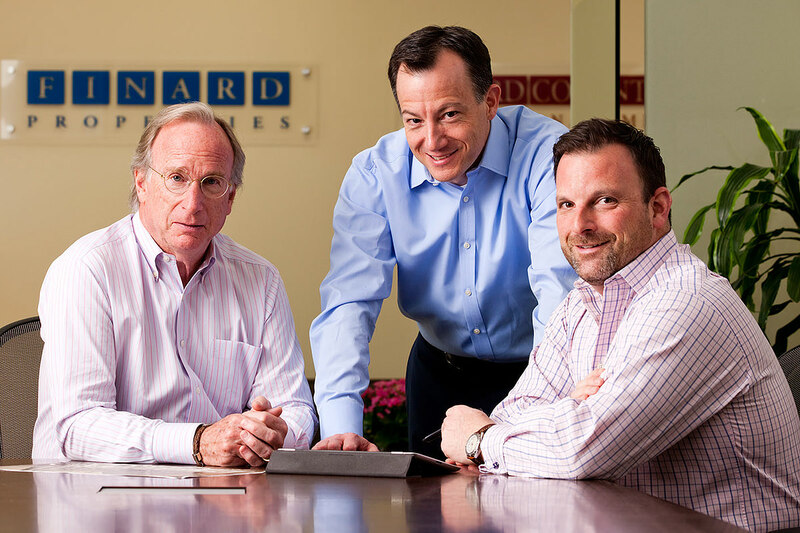 Bill took on partners, expanded services, and widened geographic focus, which drove Finard & Company into a position as regional market leader that provided management services for itself and others while continuing to find new opportunities created by economic cycles and the evolution caused by demographics and technology. The company’s portfolio of properties and activities broadened with ground-up development of office and hospitality assets, and a growing professional family rallied to develop, own, operate, and manage this diverse and dynamic collection of real estate assets. In 2007, Bill was joined by his son, Todd, and his son-in-law, Rob. Together they have created Finard Properties, the next generation of ideas, approaches, and value-creation. The company remains anchored by family ownership and honors the traditions and values established nearly 60 years ago by its founder: create value, maintain financial stability, operate at the highest levels of integrity, and never lose your humanity. These core values, combined with strong leadership and embraced by an experienced and committed professional staff, have enabled Finard Properties to compete and prosper even during tough economic cycles and provide the foundation for mutually-productive alliances with real estate investors, brokers, lenders, and municipalities. Copyright © Finard Properties 2018. All rights Reserved.